It’s that time of year again. Fall transitions into early winter and as temperatures go down, we bundle and layer up. But your body isn’t the only part of you that’s sensitive to temperature. Many Canadians also suffer from tooth sensitivity. If you’ve ever felt a sharp twinge of sensation on your teeth as you bite into something hot or cold, that’s a sign of sensitive teeth. 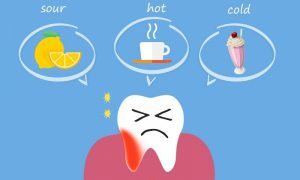 According to the American Academy of Endodontists (AAE), tooth sensitivity is defined as a brief sensation on exposed dentin caused by hot or cold stimulus. Dentin is the layer beneath the teeth’s hard and white enamel. As enamel recedes, the nerves within the teeth become more exposed, thus losing their protective barrier. If you suffer from tooth sensitivity, you’re likely doing something to exacerbate it without even realizing it. There are several surprising and unexpected causes of tooth sensitivity that many of us do without thinking twice. 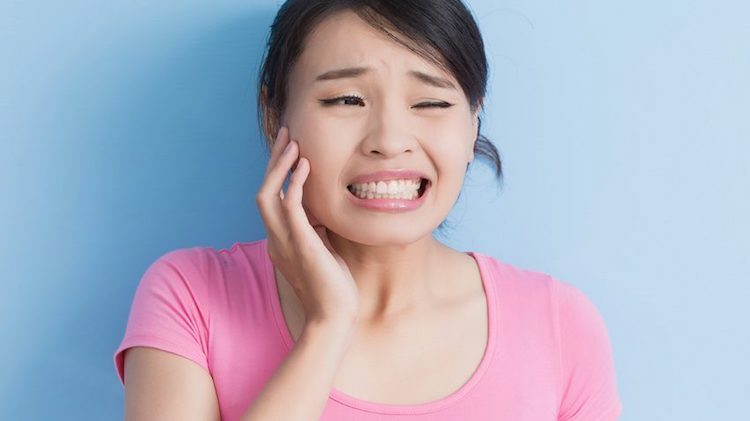 Recent studies show that about 1 in 8 North Americans suffer from tooth sensitivity, so you’re certainly not alone. But, if you find yourself passing on hot or cold beverages because of it, that’s a sign that it’s time to investigate and resolve the problem. Hard brushing: Brushing your teeth in a harsh, vigorous way with a hard-bristled toothbrush can contribute greatly to sensitive teeth, especially if that’s how you brush on a regular basis. Next time you’re brushing your teeth, take notice of how much pressure you’re applying to your teeth with the brush. You may not even notice how hard you’ve been brushing all this time, making your tooth sensitivity more severe. Your diet: Yes, you might call this one obvious. But, you may not realize how many foods in your regular diet are making your teeth sensitive. 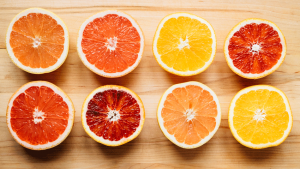 Be careful with citrus fruits, juices, pop, sugary sports drinks and high-sugar carbs – all of these attack the tooth enamel over time. Instead, opt for fibre-rich fruits and veggies, plain yogurt or cheese as a snack. Frequent teeth whitening: White teeth are beautiful teeth, but beautiful doesn’t necessarily mean healthy. The price you pay for excessive use of those whitening products is not worth it, as it can contribute greatly to tooth sensitivity over time. Instead, see your dentist for a custom-fitted, professional whitening kit. With Dr. Paltsev’s help, you’ll get the beautiful pearly whites you’ve always wanted, without compromising your tooth enamel. Plus, with a full dental exam, cleaning and polishing, you’ll get the $350 whitening kit for free. Sinus infection: You probably didn’t see this one coming. With cold and flu season already in full swing, it’s important to be aware of the side effects that a sinus infection may have on your teeth and gums. A sinus infection may cause a buildup of pressure in the gums, causing your teeth to hurt or feel sensitive. One way to tell is to lean forward with your head down – if you feel pain around your teeth, you’ll know that sinus swelling is the cause. Bruxism: Bruxisum, or grinding the teeth, is a major cause of sensitivity. Most people grind their teeth in their sleep, but many also grind their teeth during the day without realizing it, if they’re extremely stressed or focused on a task, for example. Bruxism can cause all kinds of problems over time, from tooth damage to headaches and hearing disorders. The only way to combat teeth grinding during sleep is to get fitted for a custom night guard, which Dr. Paltsev provides to many of his patients. For anyone suffering from tooth sensitivity, it’s absolutely crucial to speak to a dentist and identify the root cause. You can also protect your enamel from eroding further with certain types of toothpaste. With your dentist’s expertise, you can find the right solutions for you to curb your tooth sensitivity.